Posted on February 18, 2015 at 2:31 pm. Do something and be remembered, or do nothing and be forgotten. It’s that simple. 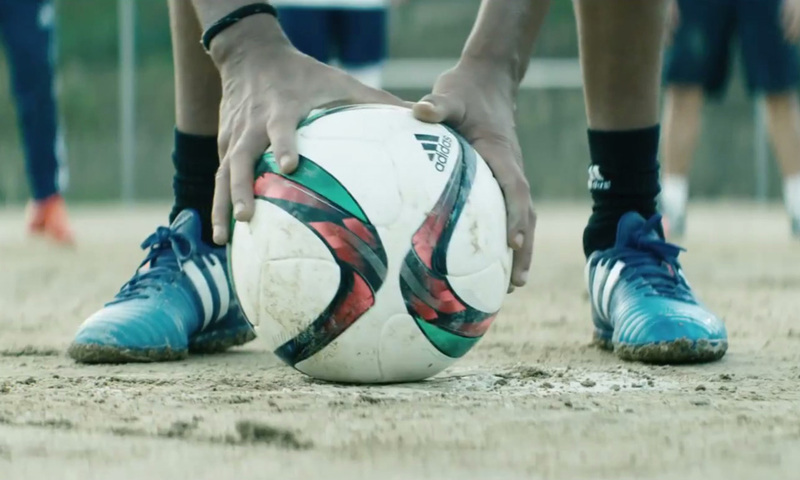 This latest spot called ‘Take It’ from Adidas urges athletes to take on the challenges of each day, regardless of what happened in the past, giving focus to the present and what possibly lies ahead. Facebook continues to celebrate their 11th anniversary by following up their tribute to friendship with the release of two new ads that highlight the importance of our connections and also emphasize Mark Zuckerberg’s Internet initiative, internet.org. Makes you feel all warm and fuzzy, doesn’t it? As a way to cleverly emphasize the delicious taste of their dairy-free pizza, this campaign from Daiya Foods (launched by agency TDA_Boulder) has designed and discreetly placed ads that make you notice them. 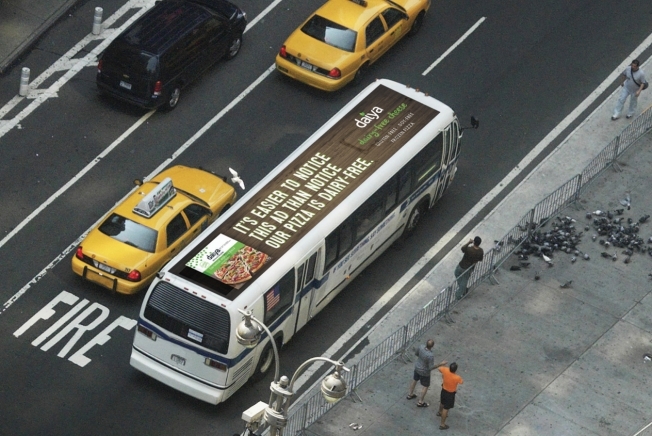 From bus-tops to stickers strategically placed on benches, elevator panels and grocery store floors, these ads emphasize the idea that ‘It’s easier to notice this ad than notice our pizza is dairy-free’. In addition to the standard chocolates and flowers that we’ve all come to look forward to, it is, once again the annual ad from furniture retailer Ikea that never seems to disappoint! You may recall their ad from 2013 that offered a voucher for a free cot to any baby born on November 14th, 2013 (exactly nine months to the day from Valentine’s Day). Their Valentine’s Day ad from last year was also a hit as it featured two chairs (suggestively) stacked on top of each other wishing all a Happy Valentine’s Day. 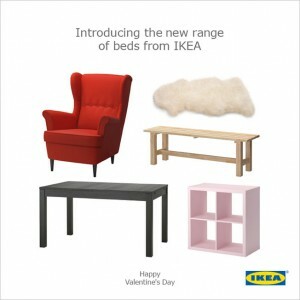 Well, it appears that Ikea is at it again this year with their cheeky ad that introduces their new line of “beds”. Oh Ikea, how we love thee!